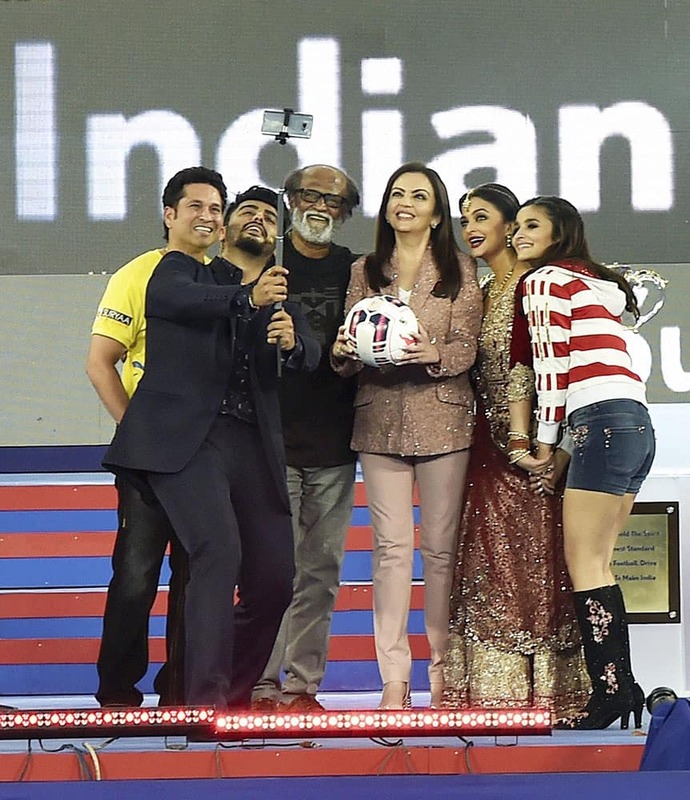 Sachin Tendulkar, Neeta Ambani, Bollyoood actress Aishwarya Rai Bachchan, Arjun Kapoor and Alia Bhatt pose for a selfie during the opening ceremony of ISL2015 in Chennai. 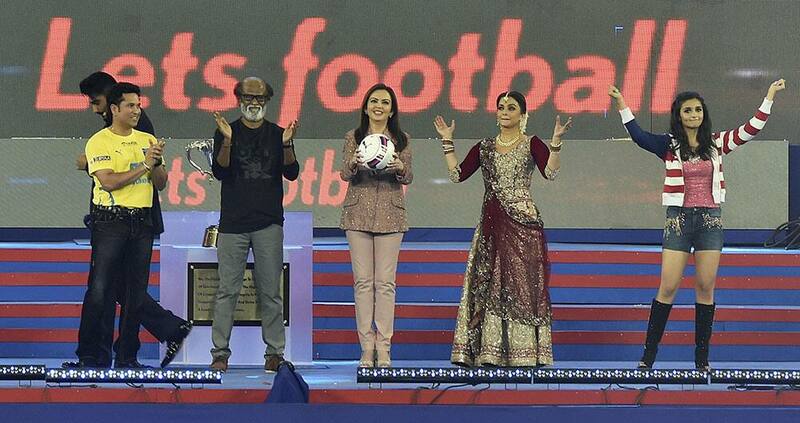 Aishwarya Rai Bachchan gets blessing from superstar Rajnikanth during the opening ceremony of ISL2015 in Chennai. 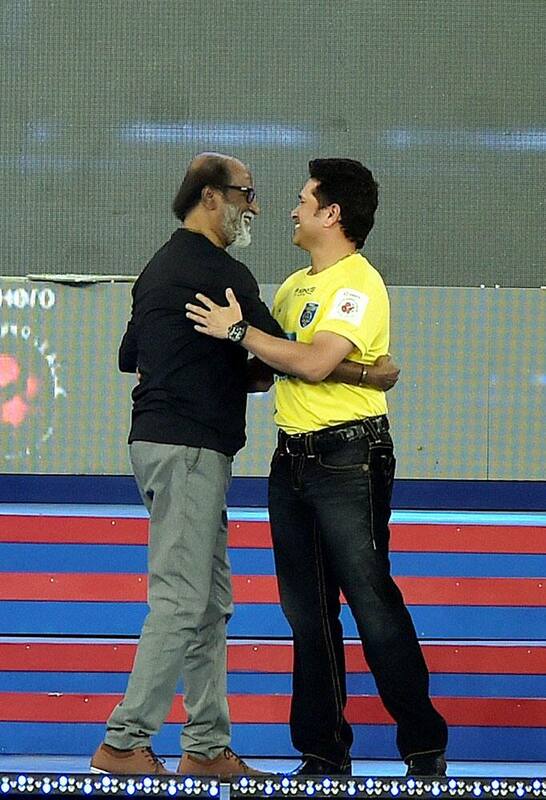 Sachin Tendulkar with actor Rajinikanth during the opening ceremony of ISL2015 in Chennai. 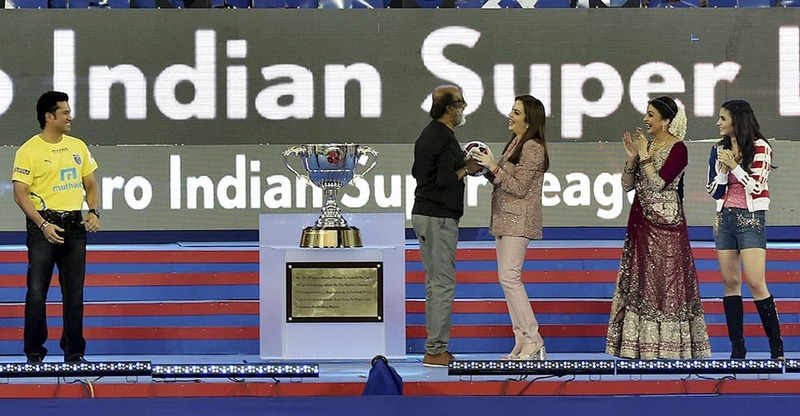 Sachin Tendulkar, Neeta Ambani, Bollyoood actor Rajinikanth, Aishwarya Rai Bachchan, and Alia Bhatt during the opening ceremony of ISL2015 in Chennai. Industrialist Mukesh Ambani with mega-actors Amitabh Bachchan and Rajinikanth during the opening ceremony of ISL 2015 in Chennai.